Sterling Silver Orthodox Cross with Corpus Crucifix and Virgin of Kazan icon and "Save Us" on the back side. SIZE: 1 7/8" including bail. 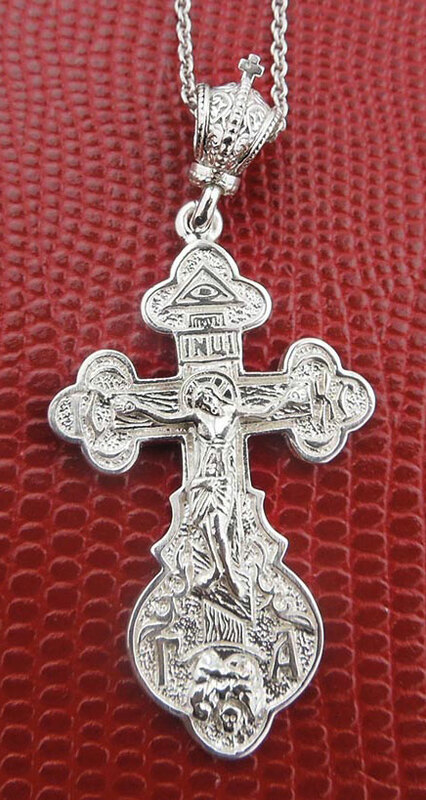 Product: Russian Sterling Silver Cross with Corpus Crucifix and "Save Us"